If you live in Pace, Milton, Gulf Breeze or Navarre, Florida and have experienced water damage from sewer system backups should be considered very dangerous. The water is grossly unsanitary and may contain bacteria and viruses that could cause serious illness. Special training and equipment is necessary to safely clean this type of contamination. There are three major types of contaminated water. SERVPRO of Santa Rosa County will inspect that contaminated water to determine the type of water and then plan the appropriate response to safely restore your home or business. Ever wondered how you will clean that expensive drapery or fabric valances you have mounted on board? Ultrasonic Cleaning is your answer. Aside from the fact dry cleaners cannot fit cornice boards in their machines, are you afraid to take your draperies to the cleaners, sign a waiver and possibly end up with shrunken or damaged drapes? SERVPRO of Santa Rosa County offers Ultrasonic Cleaning for these circumstances. This cleaning process allows our technicians to safely and effectively clean your fabric window treatments. Inside the ultrasonic tank, transducers emit sound waves in the water creating MILLIONS OF TINY MICROSCOPIC BUBBLES that energetically IMPLODE, literally sucking the surface of your blinds and draperies clean. Ultrasonic is powerful and a gentle cleaning process that does not require physical contact, scrubbing or harsh chemicals. Indoor air quality is a major concern for dialysis centers and hospitals around the country. Dialysis and medical centers are especially vulnerable to mold, which compromises the integrity of air quality. But what makes dialysis centers and hospitals so prone to mold growth, and what does that mean for indoor air quality? SERVPRO of Santa Rosa County can help with your mold analysis. Dialysis centers: They can harbor multiple mold infestations if they are not properly maintained. Since dialysis centers use reverse osmosis water therapy, moisture is an integral part of the daily practice of dialysis centers. Improperly maintained dialysis centers can be breeding grounds for mold. Hospitals and medical centers: There is plenty of moisture to go around in hospitals and medical centers. Combine the prevalence of moisture with the combination of all sorts of bacteria and chemicals, and you have a recipe for mold infestation and, as a result, poor indoor air quality. Health: Poor indoor air quality can be detrimental to health, especially for those going through the volatile process of recovery. Airborne mold can cause allergic reactions, such as sneezing, coughing, and bodily irritation. When people are trying to overcome an illness or recover from surgery, the air must be as clean as possible. More mold: Indoor air quality problems can lead to serious mold infestations. If the air quality is not properly regulated, then mold can infest countless surfaces in the building. There are plenty of actions that you can take to make sure that your center meets the highest indoor air quality standards. We at SERVPRO of Santa Rosa County will be glad to have a mold analysis done and have your results in 24-48 hours. If you would like to seek the counsel of skilled professionals about your indoor air quality, then contact us at SERVPRO of Santa Rosa County. We have 22 years of experience of assessing and improving air quality, and we can put your worries to rest as you breathe fresh, clean air. We are open 24/7. For over 23 years, SERVPRO of Santa Rosa County has assisted property owners with repairs and cleanup to their homes and businesses following catastrophic storms. The damage caused by tornadoes and hurricanes, can range from missing shingles, broken windows, and water damage to complete destruction. Our Disaster Recover Teams and certified technicians can help you minimize further damages, safely secure your property and begin the cleanup and restoration process. You can count on SERVPRO of Santa Rosa County's Disaster Recovery Response Teams to be in the area following hail storms, tornadoes, large thunderstorms, hurricanes or flash floods to help you with all of your property repair needs. From removing fallen trees to securing windows and doors, no job is too big or too small. We can take on the job from start to finish and make it look like it never happened. We have offices in Navarre, Pace/Milton, and Gulf Breeze, Florida, for quick response time 24/7. HERE TO HELP! Pet odors got ya down? Pet odors can be one of the worst odors to eliminate. Not to worry, there is help available. 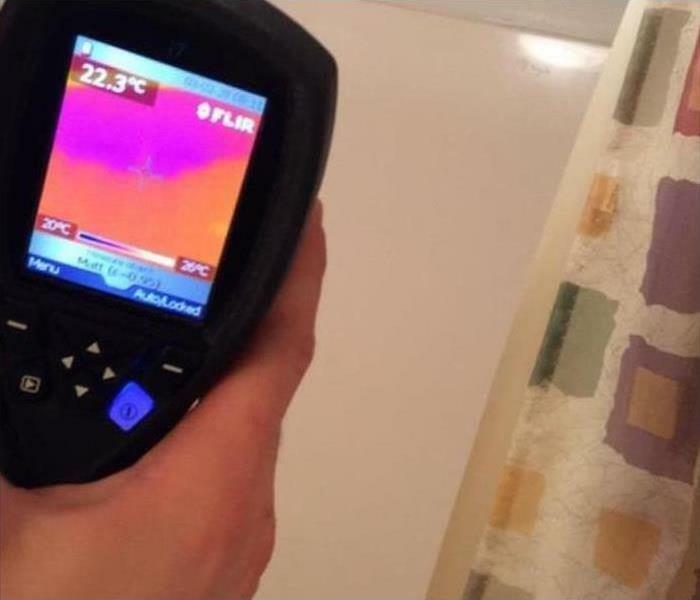 SERVPRO of Santa Rosa County assist 's property managers, homeowners & realtors when they run into this smelly situation. Pet odor removal and simply masking the problem are two completely different remedies. If you are looking to remove these odors permanently, this is odor removal. It takes a company highly trained in odor removal to accomplish odor removal. SERVPRO of Santa Rosa County has eliminated odors so intense, the neighbors apologized before crews entered the house. The neighbors were simply amazed after the odor was actually removed. One neighbor said, "I never would have believed that it could be done, you did an amazing job". Flooding and water emergencies don’t wait for regular business hours and neither do we. SERVPRO of Santa County provides emergency cleaning and restoration services 24 hours a day, 7 days a week—including all holidays. Flooding and water damage is very invasive. Water quickly spreads throughout your home and gets absorbed into floors, walls, furniture, and more. SERVPRO of Santa Rosa County arrives quickly and starts the water extraction process almost immediately. This immediate response helps to minimize the damage and the cleaning and restoration costs. Biohazards like flood water or sewer backups should be considered an emergency and dealt with as quickly as possible. SERVPRO of Santa Rosa County has water damage restoration specialists and has specific training and expertise to safely remediate biohazard contaminants. Serving Gulf Breeze, Navarre, Pace, Milton and surrounding areas for over 20 years. Ozone, (O3), sometimes called "activated oxygen", contains three atoms of oxygen rather than the two atoms we normally breathe. Ozone is the second most powerful sterilant in the world and can be used to destroy bacteria, viruses and odors. When contaminants such as odors, bacteria or viruses make contact with ozone, they are destroyed completely by oxidation. In so doing, that extra atom of oxygen is consumed and there is nothing left...no odor...no bacteria...no extra atom, only oxygen. Ozone reverts back to oxygen after it is used. It eliminates the irritation caused by phenol gasses, by oxidizing them. Phenol gasses are the invisible part of tobacco smoke that causes such discomfort to one's eyes and create the offensive odors. Ozone rids any environment of the effects of smoke completely, rather than merely filtering out the visible particles. WILL OZONE REMOVE STAINS AND NICOTINE BUILD UP? Contact SERVPRO of Santa Rosa County for mold remediation services. 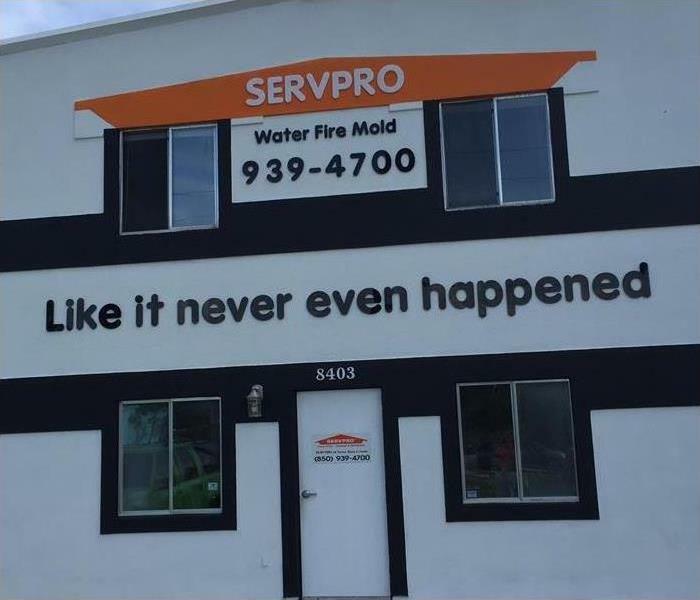 SERVPRO of Santa Rosa County specializes in mold cleanup and restoration, in fact, it’s a cornerstone of our business. Our crews are highly trained restoration professionals that use specialized equipment and techniques to properly remediate your mold problem quickly and safely. 2/1/2019 - Sewage Backup or Toilet Overflow? 2/1/2019 - Blind or Drapery Cleaning? 2/1/2019 - Pet odors got ya down?